2018 marks the 160th anniversary of diplomatic relations between Japan and France, as well as the 150th anniversary of the beginning of the Meji period, when Japan opened up to the West. As part of the Japonism 2018: Souls in Harmony cultural season, Throne will be displayed under the Pyramid of the Musée du Louvre. 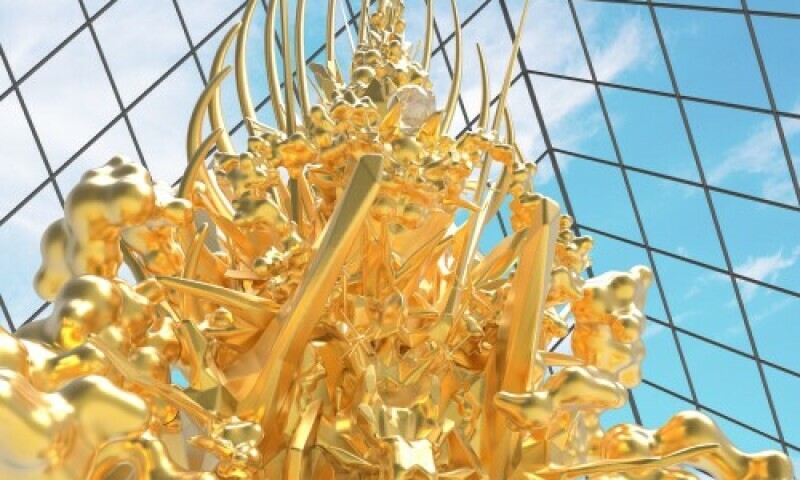 This monumental work by Japanese artist Kohei Nawa is entirely covered with gold leaf and blends Japanese cultural tradition with cutting-edge technology.